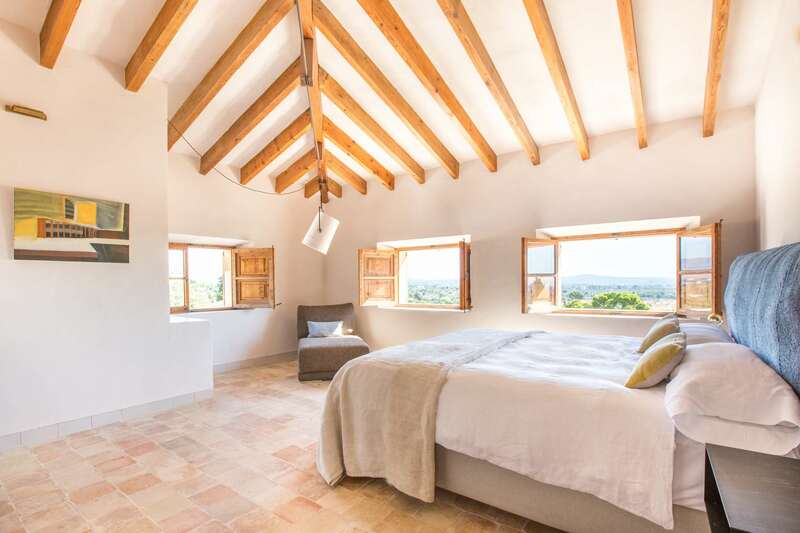 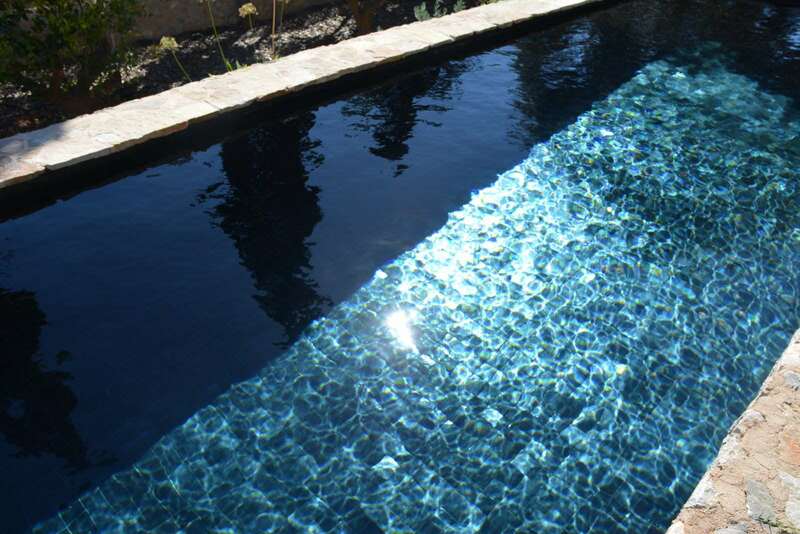 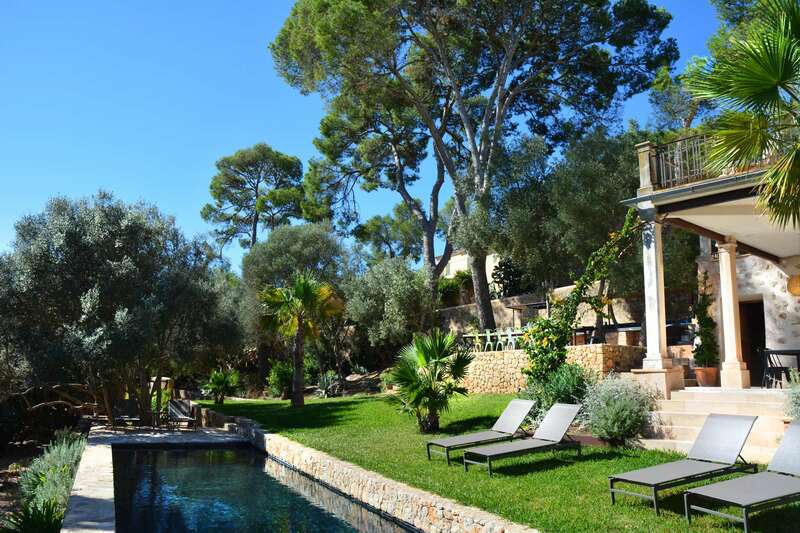 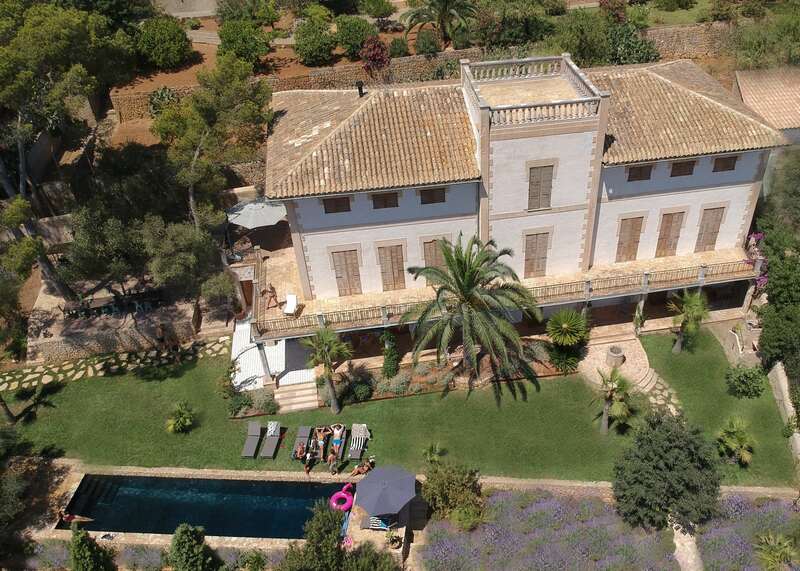 8 bedroom, 8 bathroom villa in Palma with Mountain Views and a 14m Private Swimming Pool , Air Conditioning, Billiard Room, WiFi, Satellite TV, near Golf, Sleeps a maximum of 12 people. 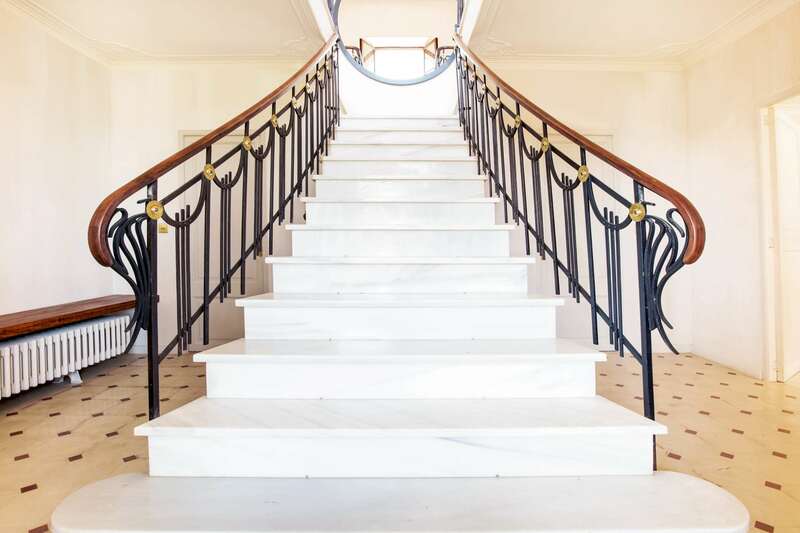 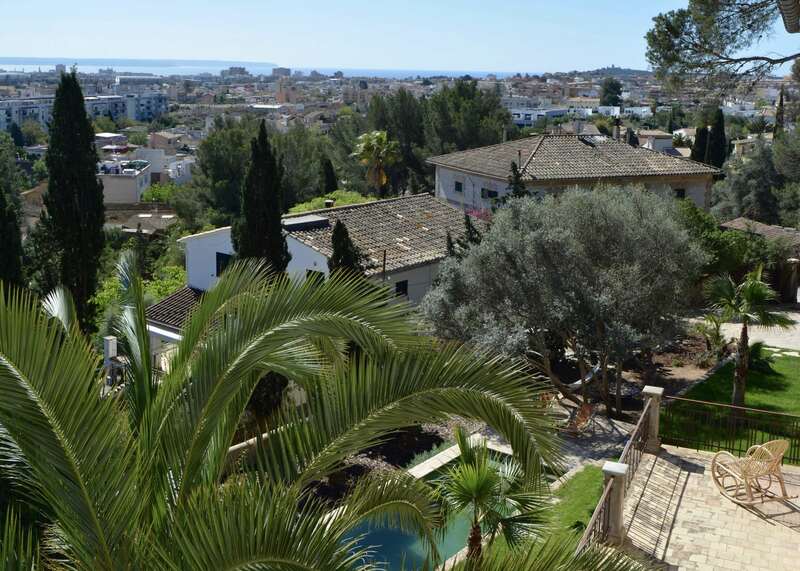 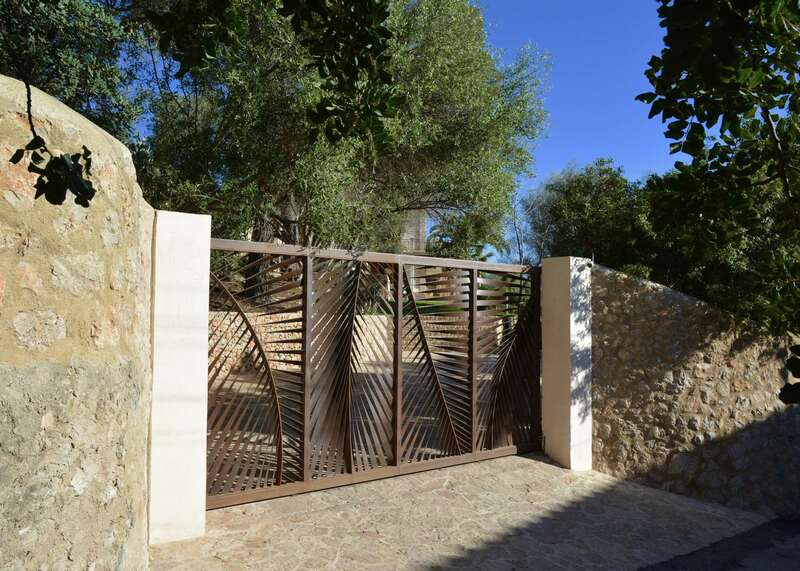 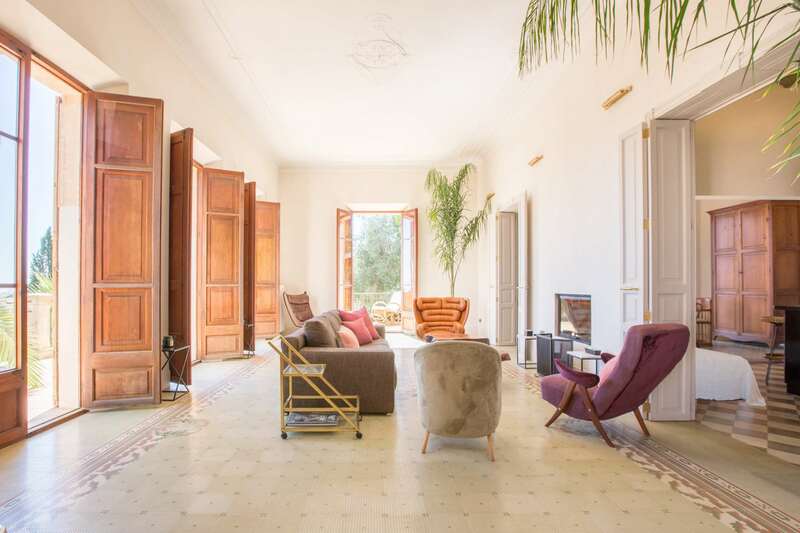 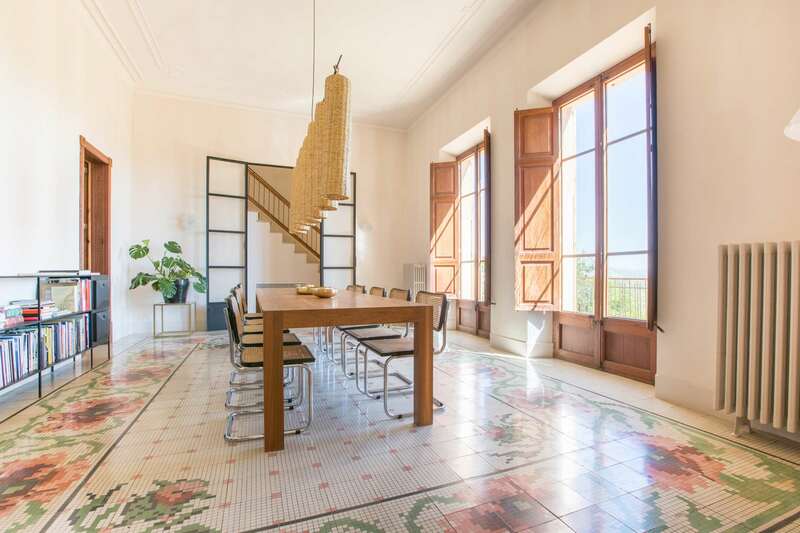 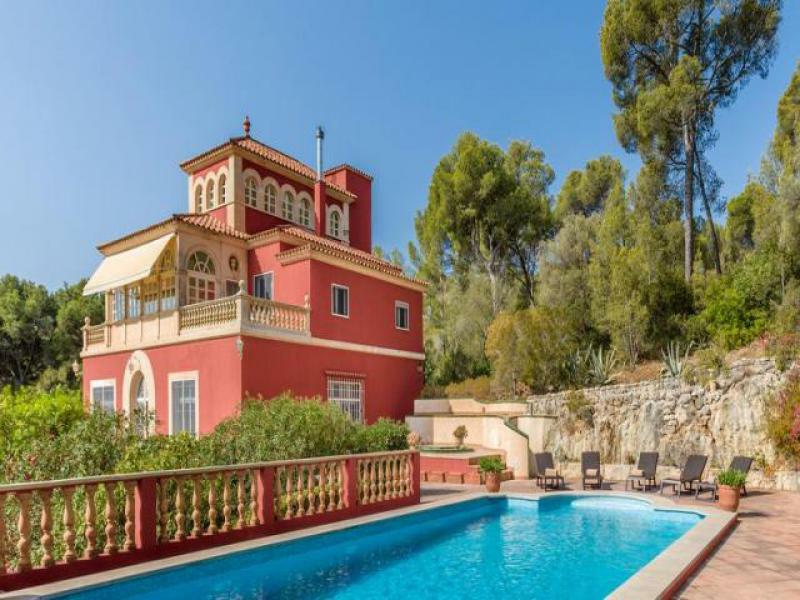 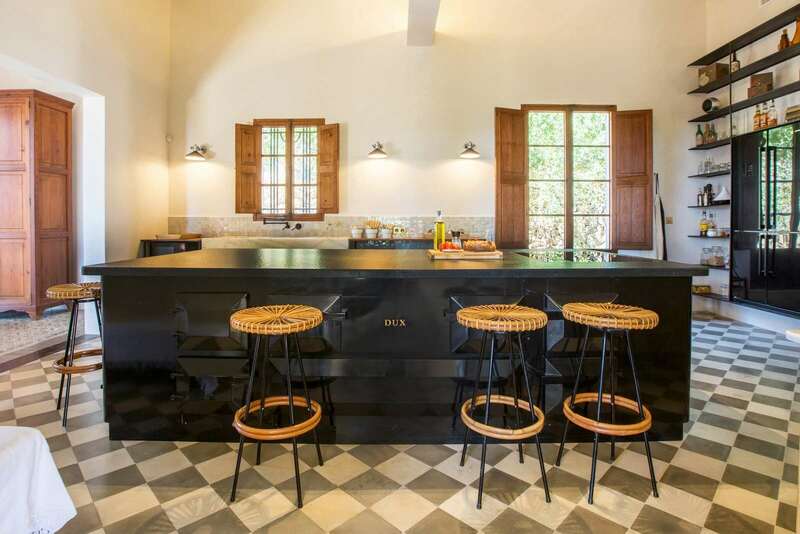 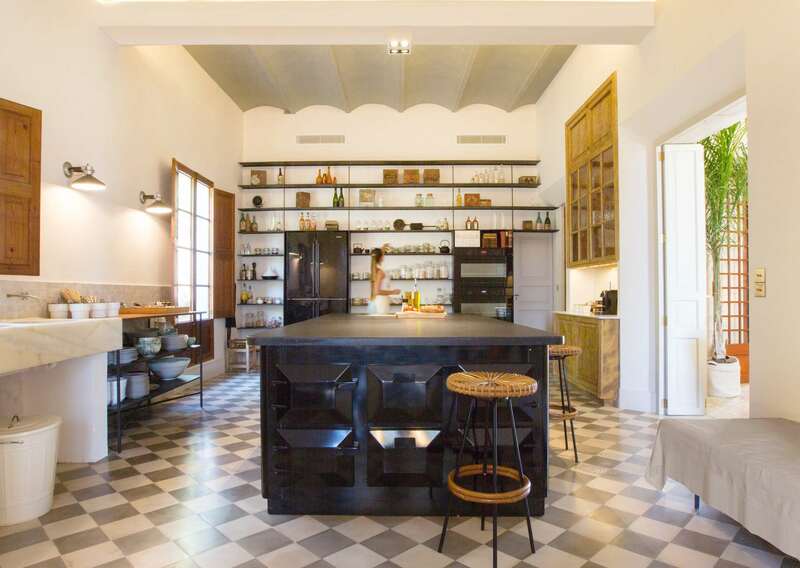 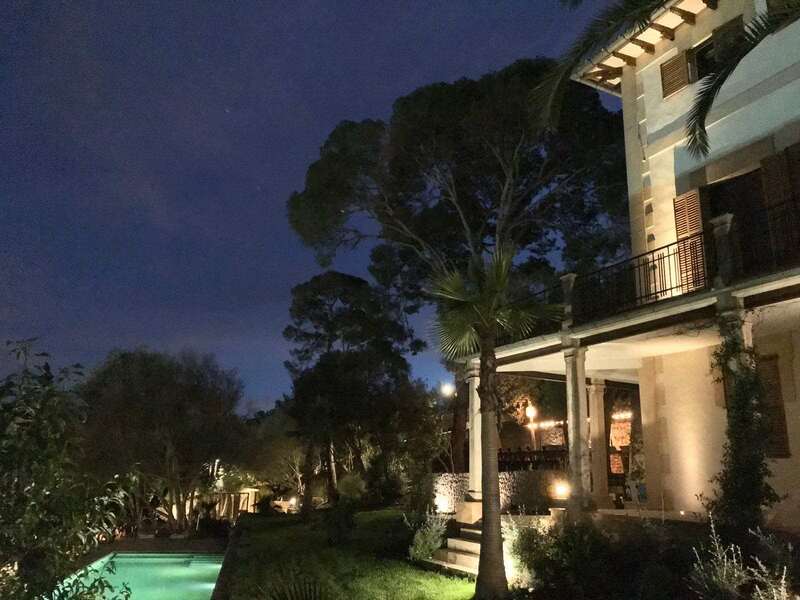 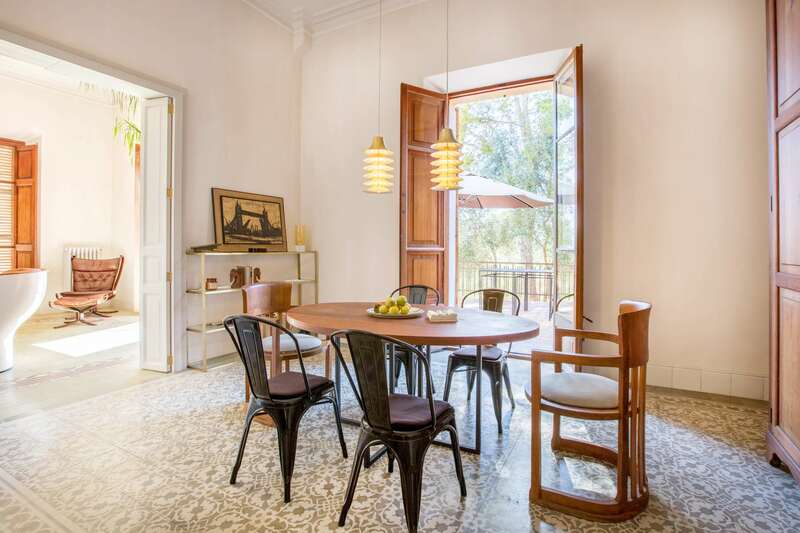 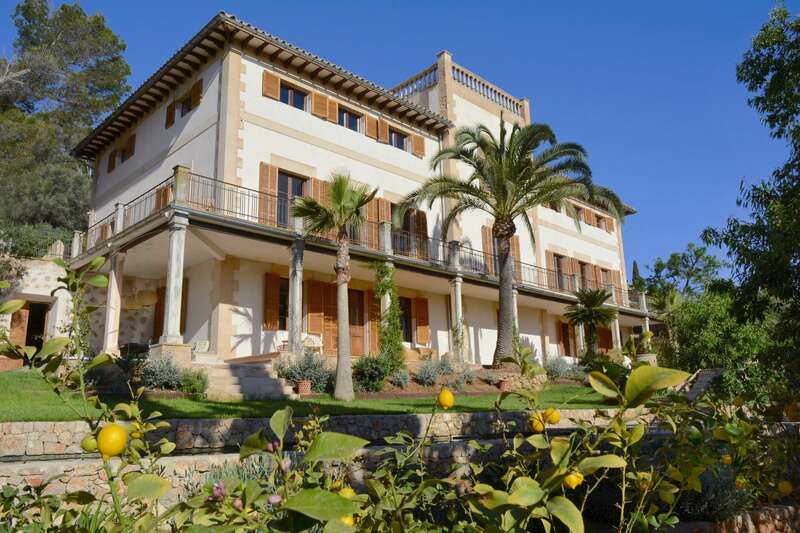 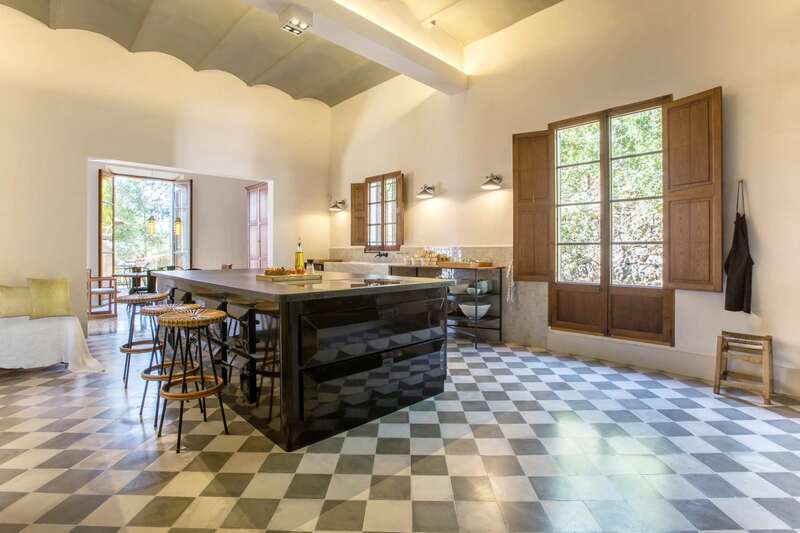 Wonderful 20’s mansion located in Palma’s city limits and five minutes from three of the best golf courses on the island: Son Vida Golf, Son Muntaner and Son Quint. 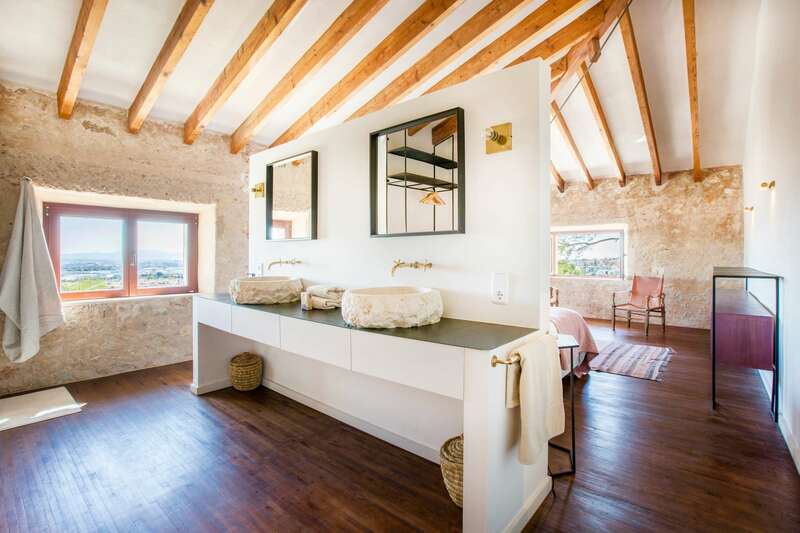 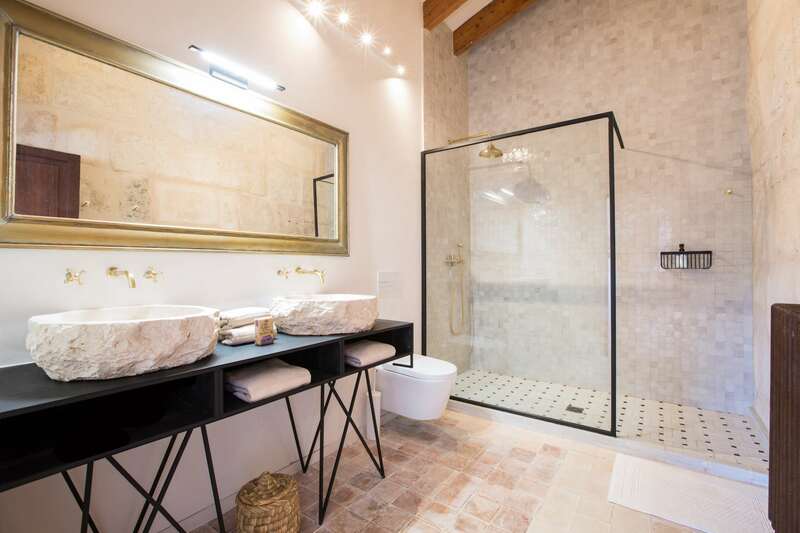 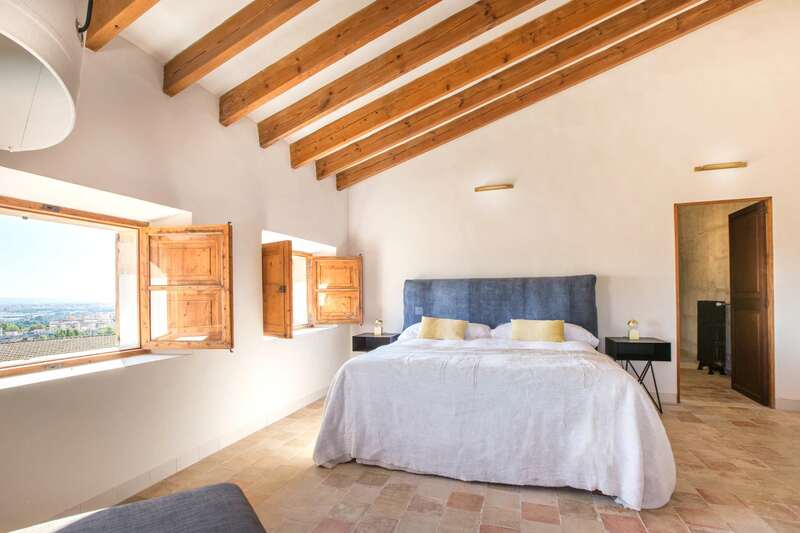 Its owners are architects and the villa has been renovated 2015-2018. 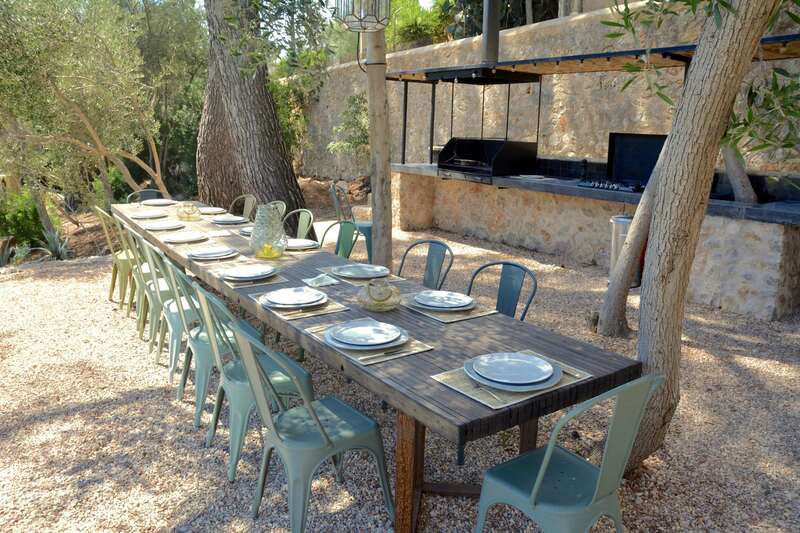 The residence has has a unique design and can accommodate up to 16 people. 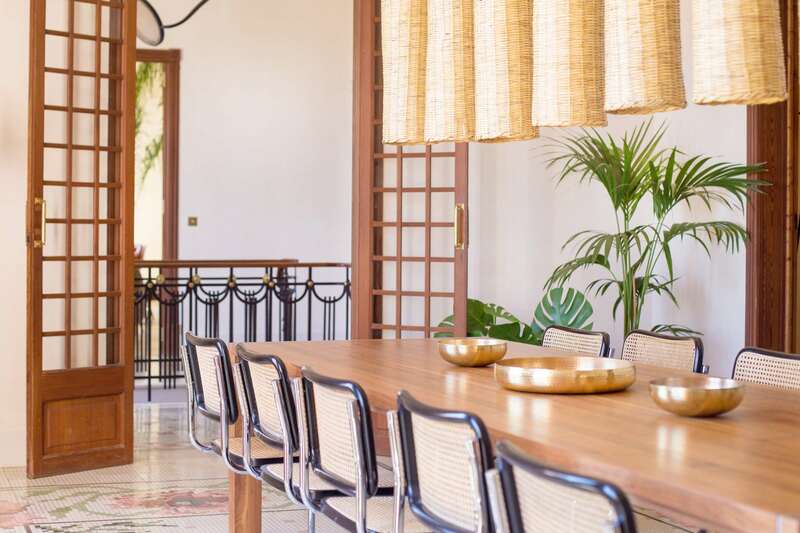 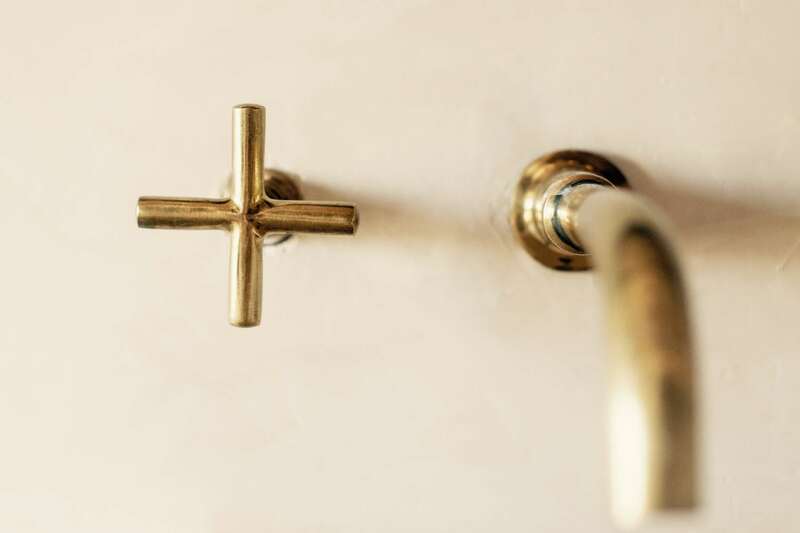 The place is filled with history, style and details of a bygone Art Deco era, but includes nowadays modern appliances and impressive original mid-century collector items. 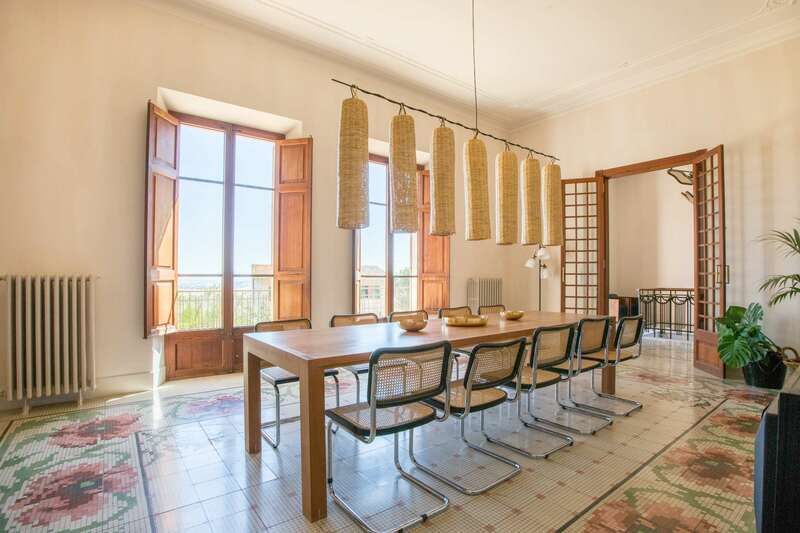 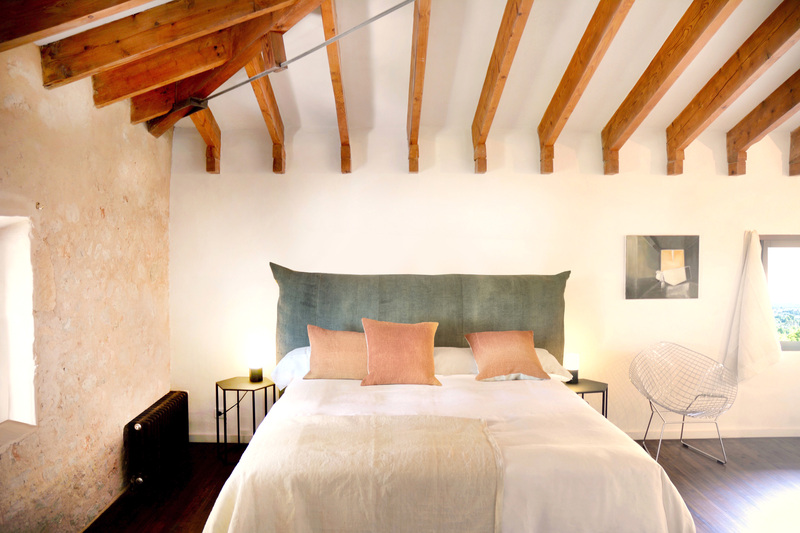 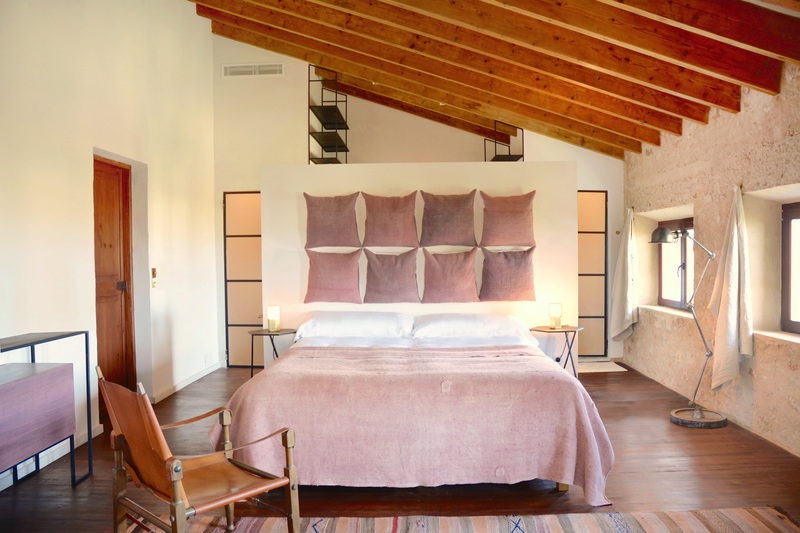 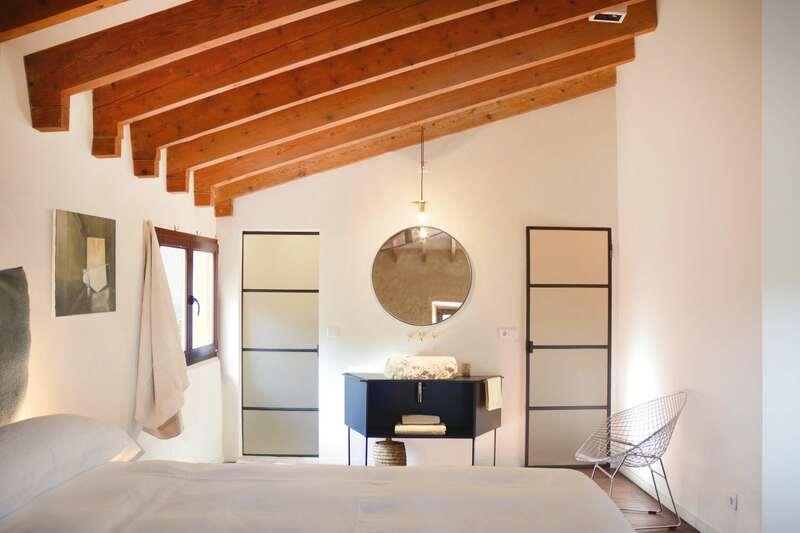 A stately balcony surrounding the entire building and a tower terrace, offer stunning views from the Tramuntana mountains over Palma’s bay, the cathedral and up to Bellver Castell. 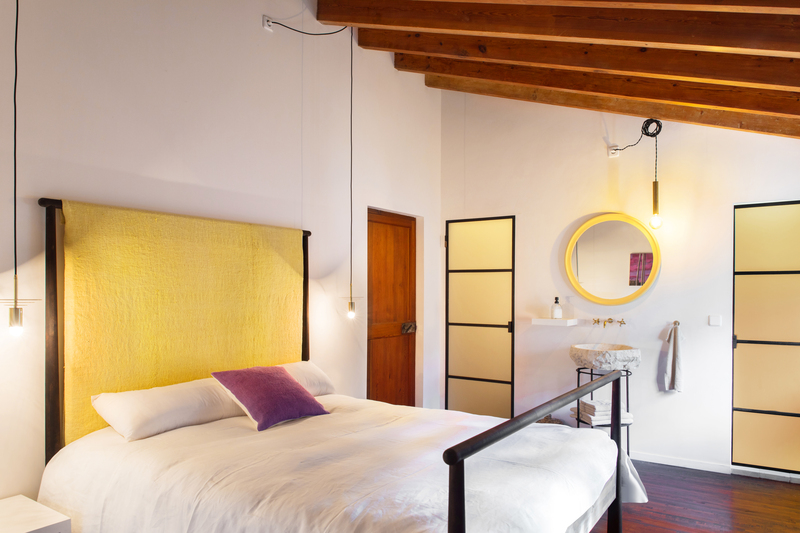 It offers 8 bedrooms with kingsize boxspring beds all with ensuite bathrooms, a spacious fully equipped kitchen, 2 dining rooms and a bodega. 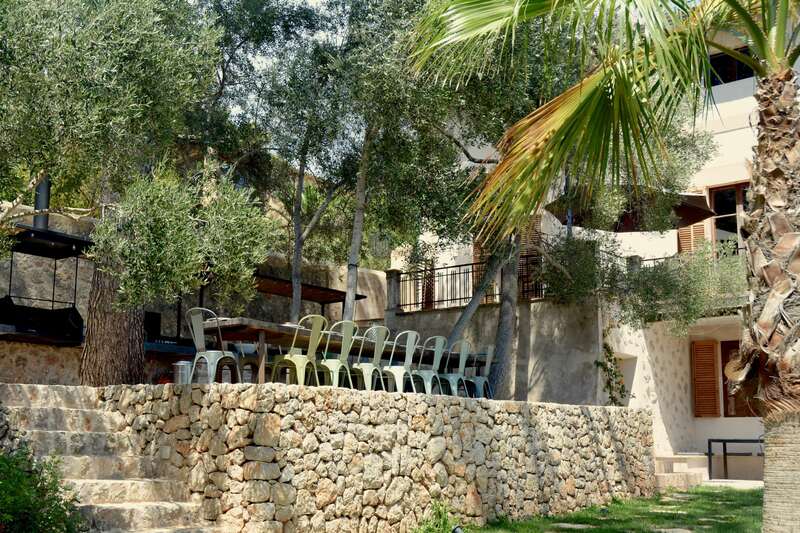 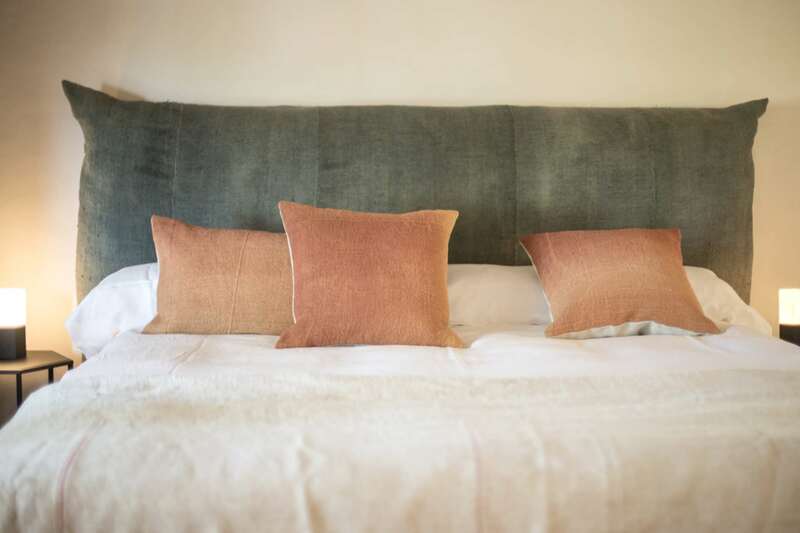 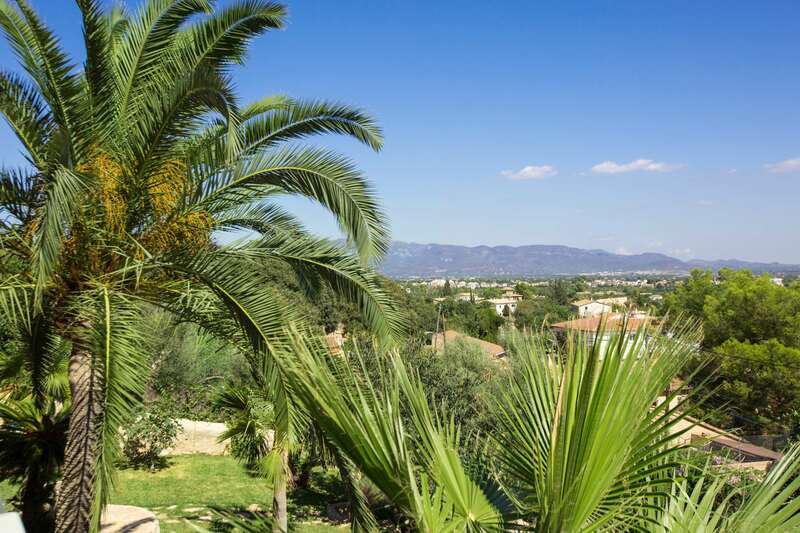 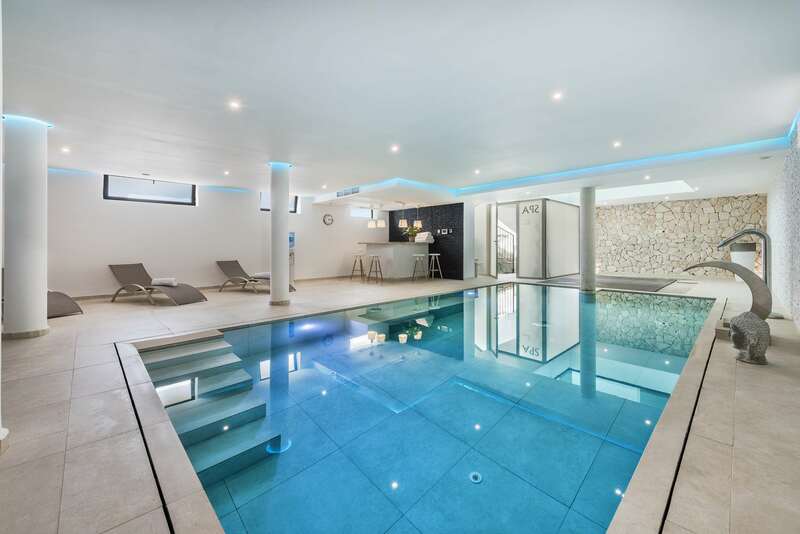 There is air-conditioning, central heating and Wi-Fi throughout the whole property. 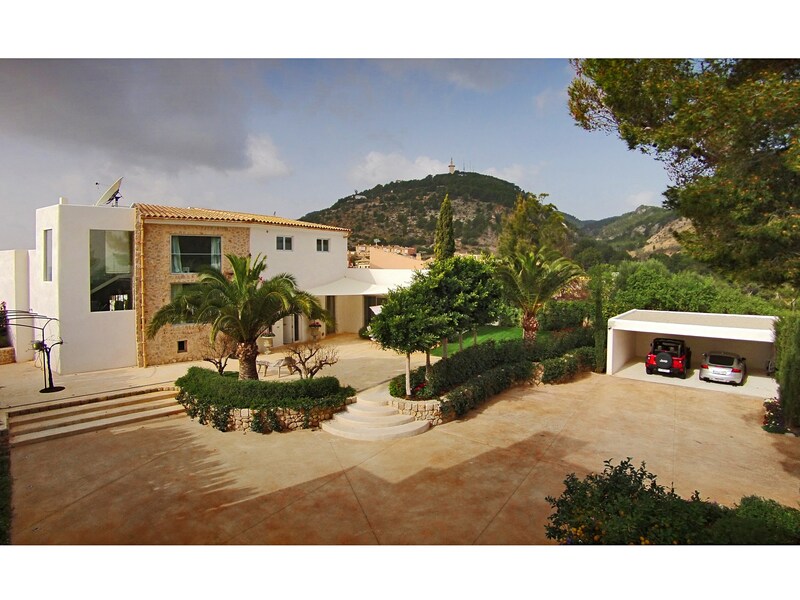 The 2000 sqm. 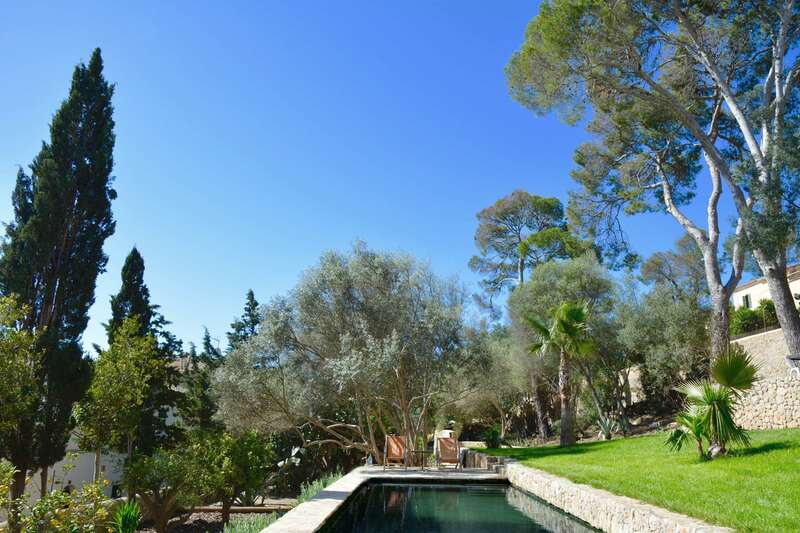 terraced garden with fruit and palm trees features a lap pool, sun beds and an outdoor kitchen with BBQ and 3 sitting areas. 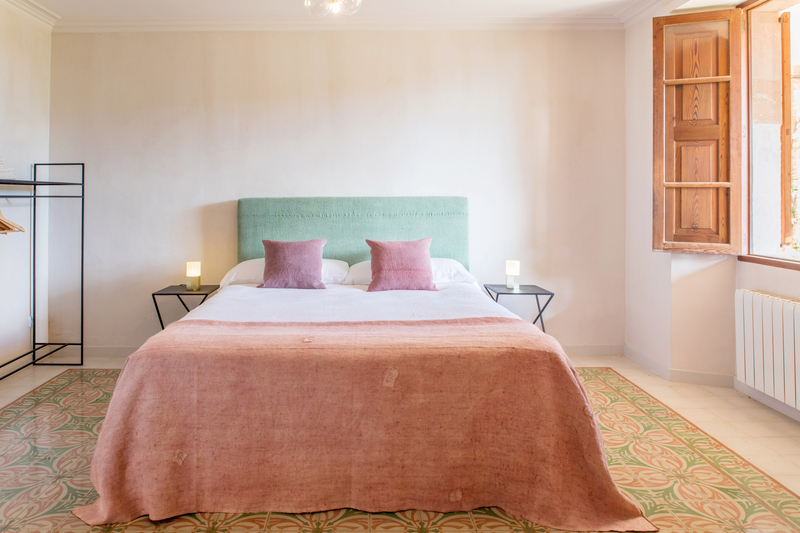 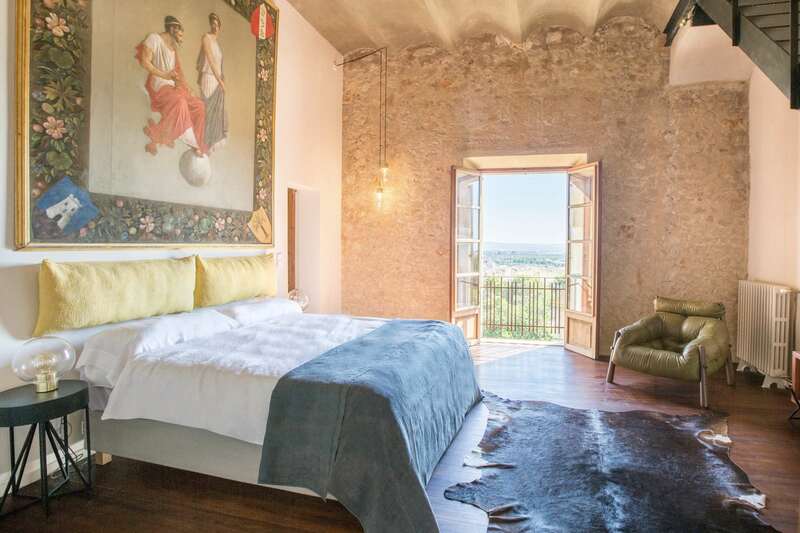 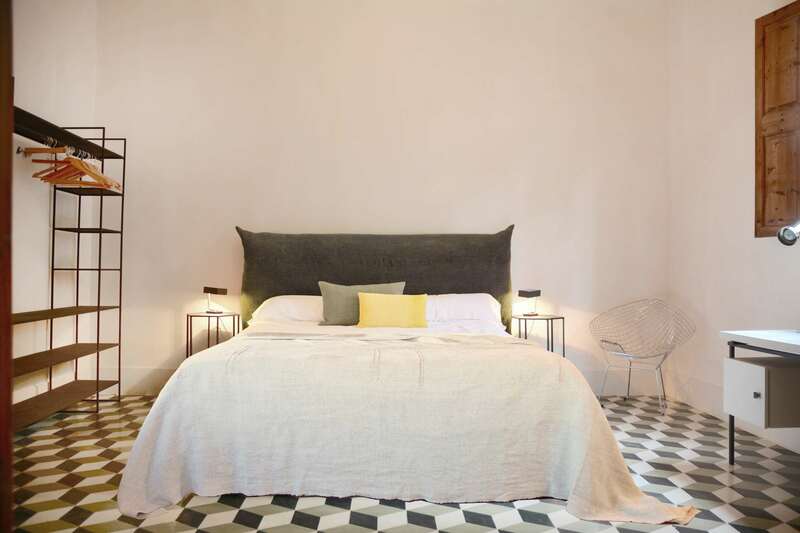 Here at Villa Duke you will be spoiled by its 5-star guest service, feeling all the ancient history that transpires from each corner of this magical estate. 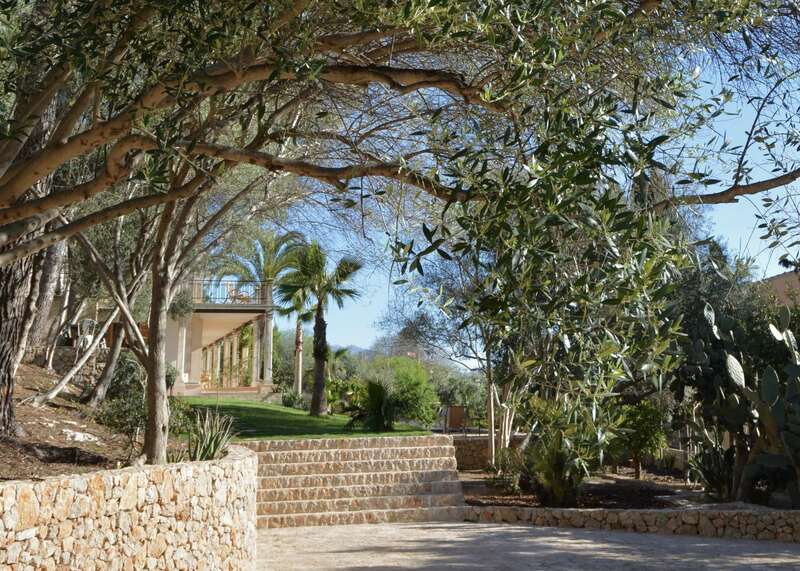 Based in a quiet district, you will be able to reach any beaches within minutes’ drive, only 10 minutes to get to Palma center and only 15 minutes’ drive to and from the airport.